Even if you haven’t yet heard the term ‘Killer Women’ you must have already read their books. Sixteen, London-based, bestselling and award-winning female crime writers have formed a group to offer innovative events, debates, talks and workshops to libraries, book groups, bookshops, literary and art organisations, turning their written words into spoken words of encouragement, debate and fun. They have been working incredibly hard organising the Crime Writing Festival 2016 due to be held in October. 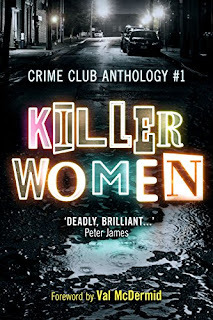 The Killer Women have also filled their first anthology with fifteen unique and brand new short stories, each representing the original styles of the authors. Their combined personal and professional experience is vast and varied hence no subject is a taboo, no topic is off the menu, no evil is left alone. With endorsement by the one and only, much celebrated Val McDermid, who has also written the foreword, and including short biographies of all the writers with information on what inspired their particular stories, the selection is a wonderful invitation to read more. Or to get to know the featured authors: Louise Millar, Alex Marwood, Tammy Cohen, Melanie McGrath, Colette McBeth, Jane Casey, Erin Kelly, Sarah Hilary, Louise Voss, Alison Joseph, Helen Smith, Kate Medina, D E Meredith, Laura Wilson and Kate Rhodes. These Killer Women are no strangers to psychological suspense, thrillers, mysteries, historic crime series, contemporary detective fiction and police procedurals. The tales vary in length because there’s no template for how long a good short story should be, and when the theme is right, and the observation is precise, they just work. So these sharp, imaginative and concise samples of their talent encompass fantasy, obsession and supernatural, mundane and boring, unusual and perfectly explainable. A real-life event that can spark excellent writing. Dementia and tricks that the human mind plays. Loneliness and vulnerability. Broken window and noisy crows. Buried secrets and manipulation. Wicked women and untrustworthy men. Clothes. Noises in the old house. Overstepping boundaries. Art. Harry (Hole) returns in 2017! 19 September 2016: In news that will delight his millions of fans worldwide, Jo Nesbo confirms that his hardboiled Oslo detective Harry Hole will return in his latest novel, THE THIRST, to be published by Harvill Secker in May 2017. THE THIRST continues the story of #1 bestseller POLICE, Harry Hole’s last outing in 2013, which saw the maverick cop protecting those closest to him from a killer wreaking revenge on the police. THE THIRST will see Harry drawn back to the Oslo police force when a serial killer begins targeting Tinder daters with a signature killing method that leads Harry on the hunt of a nemesis from his past. It is the eleventh instalment in Jo Nesbo’s bestselling crime fiction series, which have sold over 30 million copies worldwide and are published in 50 languages. THE THIRST is one of several treats in store next year for the millions of Jo Nesbo and Harry Hole fans. In January 2017, Harvill Secker will publish a 20th anniversary edition of THE BAT, Jo Nesbo’s first Harry Hole novel, with a new introduction by the author. In October 2017, Michael Fassbender will star as Harry Hole in the film adaptation of The Snowman, in which Nesbo’s detective tracks a serial killer murdering unfaithful women and leaving a snowman behind as a calling card. The film will be directed by Tomas Alfredson (Tinker Tailor Soldier Spy, Let the Right One In). This book, set in a remote crofting community in north-west Scotland in 1869, has been short-listed for the 2016 Man Booker prize. This well-deserved nomination speaks volumes for the quality of this wonderful novel: if you only read one book this year, then make sure it is this one! The author, Graeme Macrae Burnet, was the recipient of a Scottish Book Trust New Writer’s Award in 2013 and HIS BLOODY PROJECT is his second novel. Clearly a man of talent, Burnet is another one of those Scottish authors that we should most definitely keep a close eye on. HIS BLOODY PROJECT is about a murder. A gruesome triple murder that shocks the small community where both the murderer and his victim live. 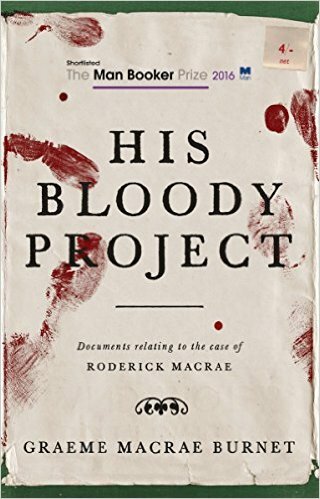 The guilty party is a young man who goes by the name of Roderick Macrae. He is seen by his neighbour shortly after committing his dreadful act - covered in blood and carrying his weapons. There is no doubt that he is the guilty party and he is more than willing to admit what he has done. However, there is a question over his motive, and his sanity at the time of the crime, and his counsel bravely sets out to save him from the gallows. The novel consists of a series of reports, written by various officials to document the evidence of this shocking event and their opinions concerning the accused. They make for pretty somber reading but are nothing compared to the account written by Roddy himself, as he attempts to explain what he has done. I am extremely grateful to both Karen and Contraband for giving me the opportunity to review this book. Every so often you get the rare opportunity to read something that is incredibly special and this is one of those occasions. I am still haunted by HIS BLOODY PROJECT: The vivid descriptions it contains of life as a crofter in the 1800s show that conditions were very far from pretty. The book is so harrowing and realistic that I even had to stop reading and find out whether the plot was based on a true story. 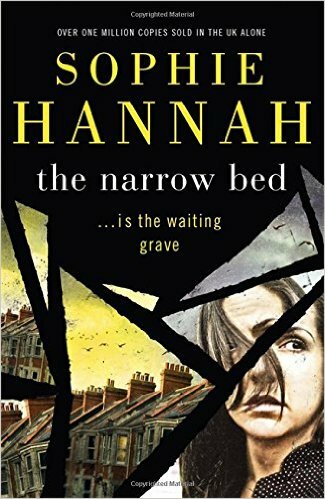 If you like to be disturbed by what you read and enjoy first-rate thrillers that won’t let go of you when you have finished them, then you are going to love this book. I've only just spotted this: Amazon.co.uk, have made the first episode available to "buy" for free in 93 TV series - you can download as well as stream. The list includes Scandi favourites such as Beck, Borgen, The Bridge, The Killing and The Legacy as well as French series such as Braquo, Spiral and The Returned, and the original Israeli series Hostages. British series include Broadchurch, Father Brown, Grantchester, Happy Valley, Hinterland, Line of Duty, Luther, River, Shetland and The Tunnel. Today's review is again courtesy of CrimeTime's Bob Cornwell. What a pleasant surprise! Considered one of the most important (and prolific) writers of crime fiction in his native Japan, this is only the fourth novel from Seicho Matsumoto to be published in English (and the first to originate from a UK publisher). Well-chosen by Bitter Lemon too, showing another side (at least to this UK reader) of Matsumoto’s talent. Matsumoto first wrote prize-winning mainstream and historical fiction, then experimented with crime in short story form (some, including 'The Face', considered the best short story of its year by the Mystery Writers of Japan, are collected in THE VOICE, published in the USA in 1989). In 1957 he published the ground-breaking POINTS AND LINES (1970 in US), a rare combination in Japan at that time of a crime story laced with acute social observation, often critical, of the society that surrounded him, a form he would champion throughout his life (he died in 1992). The book was a huge success, broadening the appeal of crime fiction throughout Japan. In the early '60s he wrote both what became in English INSPECTOR IMANISHI INVESTIGATES (Soho Crime US,1989), and PRO BONO, which took over 50 years before it became available in English (Vertical US, 2012). The first is a classic of painstaking police detective work, the latter both a mystery and a raging indictment (in the Japanese manner) of aspects of the Japanese justice system. Now comes A QUIET PLACE (1975) written during a later period of Matsumoto’s career. Tsuneo Asai, a middle ranking civil servant working in a far from glamorous role in the Ministry of Agriculture and Forestry, is on a business trip with his boss when a phone call from his sister-in-law tells him that Eiko, his wife, eight years his junior and with a history of heart trouble, has died of a sudden heart attack. First ensuring that his boss is not inconvenienced in his absence, he immediately returns to Tokyo. After the funeral he visits the cosmetics shop where his wife collapsed and died. It’s in a quiet suburb of Tokyo that, suspiciously, Eiko had never mentioned to him “ever”. He starts to ask questions. From these low-key, even mundane ingredients, Matsumoto slowly builds a fascinating tale. Tsuneo, for example, at first appears to have much in common with the “nondescript” but dogged detective Torigai of POINTS AND LINES, and the “worn-out” Inspector Imanishi. But here his quest, pursued with quiet, painstaking intelligence, is filled out by a great deal more personal detail. His deference to authority, and to his wife’s ill-health, his morality (Japanese sexual mores are explored in some detail), his driving ambition (but within the established hierarchy), all add up, given the later noir-ish developments in the novel, to an individual irrevocably caught within an unforgiving social system. He is far from, say, the amoral protagonists of Patricia Highsmith. That said, the later twists in the tale and Tsuneo’s actions surrounding them, shows him in a much more calculating light. Note too that an action that sets the plot in motion at the start of the novel, is also key to the ending. Can you spot what it is? 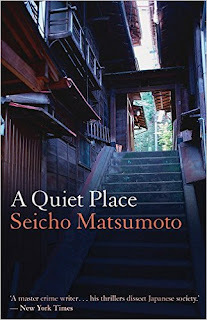 A QUIET PLACE is a worthwhile crime novel and one that lives up to Matsumoto’s reputation as a keen critic of his country’s social mores. Let us hope that Bitter Lemon Press will continue to explore and make available more of his work. 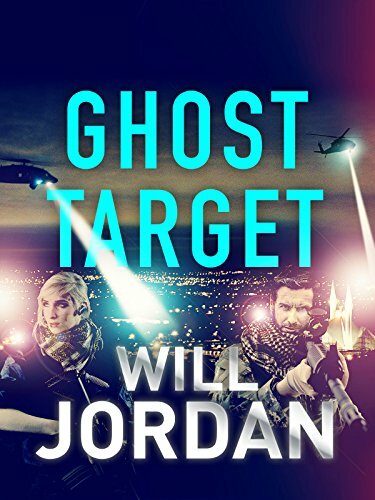 The sixth book in the Ryan Drake series, GHOST TARGET will take you on an emotional journey as you follow Drake and his team on their most dangerous mission yet. Like the previous two books in this series, GHOST TARGET is available in ebook format only – no paperback – and is every bit as fantastic as we have come to expect from this brilliant author. It winds up the tension slowly and then, almost at the very end, when you feel as if you are at breaking point, it winds just a tiny bit further and leaves you burnt out and exhausted. Once highly favoured CIA operatives, Drake and his team are on the run. After exposing Marcus Cain, the boss, as rogue in the last book, they are now wanted themselves and living in fear for their lives. Drake and McKnight have spent six months or so lying low in Marseille and have a very comfortable set up. Unfortunately, their peace doesn’t last and when a hired thug attacks Drake in the street he knows it is time to refocus and regroup. Gathering the team together, he decides the only way to end their current situation is to kill Cain. But how? He is unlikely to ever become an easy target and this may prove to be an impossible mission, even for Drake. Then an opportunity raises its head and the hunt is on. Drake knows this is the only chance he will have to set things right. He also knows that it is highly likely he could end up paying the ultimate price. Will Jordan is most definitely a name to look out for. His books are always full of action and guaranteed to set you on edge. His characters are brave and honorable and you find yourself willing them on, wanting them to achieve the impossible. They always have done before but the challenges in this latest book seem to be too much, even for Drake and his team. If you like exciting, well-written books that are impossible to second guess then you are going to love this one. If you haven’t read any of Jordan’s earlier books then you really must do so first. This book reads well as a stand-alone but you will enjoy it so much more if you read the earlier ones first. Next please! Kim Tribbeck is a stand-up comedian who has recently divorced her husband, Gabe, and has given up her lover, Liam. Kim was given up for adoption as a baby and has only recently found her family who were less than keen to welcome her. Unfortunately her birth mother died before she could meet her and now Kim's grandmother is dying in hospital. At one of her gigs. Kim was given a little white book with a few lines of poetry written in it. She throws the book away but a year later connects the book with murders of pairs of friends who also had little white books found by their bodies. As Kim considers herself a person without friends, someone who doesn't have to depend on anyone, she cannot understand why she has been targeted by the killer but she does take her concerns to the police. The team investigating the "Billy Dead Mates" killer includes DC Simon Waterhouse - a brilliant detective who has leaps of understanding that helps him solve cases, but who has difficulty working in a team. His wife, DS Charlie Zailer, although no longer working on his team, is drawn into the investigation although she is rather more interested in what her sister, Olivia, is up to. This is the latest in the series featuring Simon Waterhouse and Charlie Zailer but can easily be read as a stand alone. 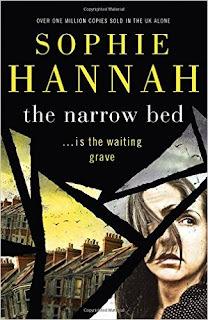 I think one of the most appealing features of Sophie Hannah's books is her characterisation and her ability to include a level of description that makes her characters and situations interesting and engaging without slowing down the story. Here's a snapshot of what I think is published for the first time in September 2016 (and is usually a UK date but occasionally will be a US or Australian date). September and future months (and years) can be found on the Future Releases page. If I've missed anything do please leave a comment.